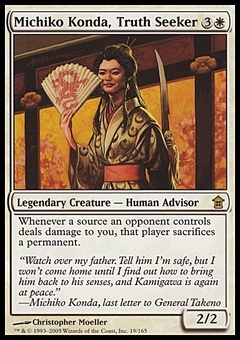 Mana-Charged Dragon ($1.28) Price History from major stores - Commander - MTGPrice.com Values for Ebay, Amazon and hobby stores! 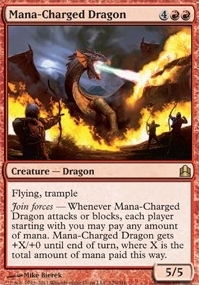 Card Text: Flying, trample Join forces - Whenever Mana-Charged Dragon attacks or blocks, each player starting with you may pay any amount of mana. 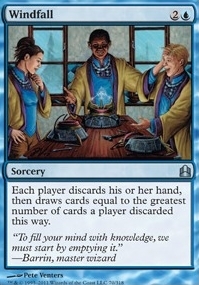 Mana-Charged Dragon gets +X/+0 until end of turn, where X is the total amount of mana paid this way.